It's done the math, and the team believes it could save a six-figure sum and push out thousands more pieces of content in a 12-month period. The menacing bangs and loud chatter echoing around Frank Amorese’s phone line isn’t the concerning scene it sounds like. 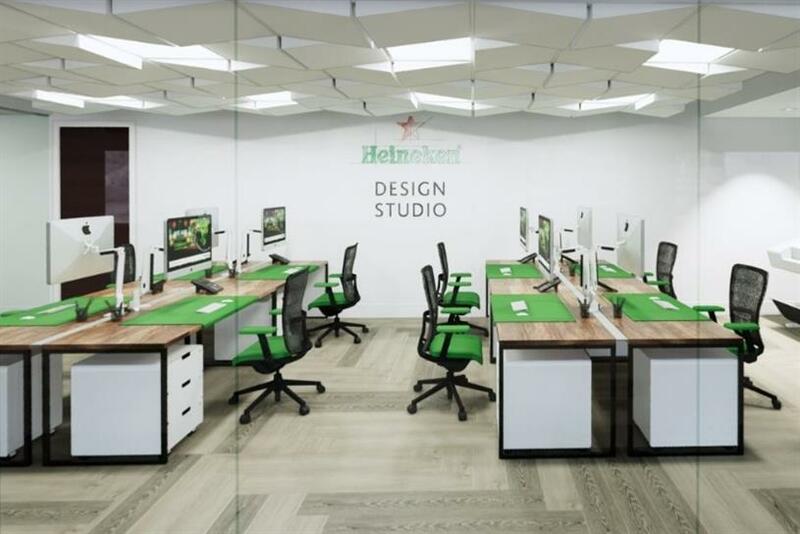 "There’s construction happening literally 35ft from my desk where the studio will be," explained Heineken USA’s media director over the bustle of contractors piecing together what will be a brand-spanking new in-house content hub at the White Plains, New York headquarters. Amorese mooted the idea to his team around a year ago while presenting Heineken’s 2019 vision. He stressed the importance of throwing out old-school demographics for behavioral targets -- do away with "the average 21 to 34-year-old male," and bring in "the premium imported beer drinker" of today. Coupled with this was a focus on geography and to significantly increase investment in localized media. It was imperative for the brand to push its data agenda and become more locally relevant with more personalized creative. "We all agreed it was the right thing to do," said Amorese. "The problem was we were absolutely not set up to achieve this. Our creative need is going to explode. So we need to find a way to do this better, faster, cheaper." By better, he means hiring experts who think mobile and digital first, because adapting a television commercial for Facebook’s news feed doesn’t work. In terms of faster, well, no one can deny the speed of everyone being under one roof. In Heineken’s case, creatives will be sitting just yards away from the people who develop the brief. And in regards to cheaper, the brand simply could not afford to take its production budget and multiply it by five. Amorese estimates this in-house solution has the potential to save "mid-to-high six figures" and will pump out around 7,000 pieces of creative in the first 12 months. Much of the work will be versioning of all ATL and BTL assets so it can be adapted to localized markets. So Dos Equis in Texas will carry different messaging to Dos Equis in California, for example. "The lead creative agency is still going to be in charge of the strategy and overall message of what’s happening in the campaign," Amorese explained. Heineken’s creative AOR Publicis and Dos Equis’ creative AOR Droga5 need not be quaking in their boots over that controversial "in-housing" word -- actually, quite the opposite. The partnership between AOR and studio will be symbiotic. He continued: "How we see it working is that agency will come back with concepts, storyboards, look and feel and scripts. That’s when the brief will come to the studio. The lead creative agency will still think about TV, and the in-house studio will think about how it comes to life in digital. When it comes to shoot day, we will have a list of assets that we need, not a list of television shots we need. "To meet that cost implication we have to be able to get as many things as we can in the one shoot. Everything has the same look and feel through the line from TV to digital. They might not say the same thing, but if you see something on TV and something on Snapchat you should know it’s a Dos Equis ad." The in-house studio (which, sadly, doesn’t have a ridiculous name like "ACCELERATE" or "THIRST") will launch in the coming weeks with five people. The team will comprise a mix of full-time employees and contractors. But it’s important for Amorese to ensure they all feel like Heineken staff and add to the firm’s culture. Although in the early stages of its life, the studio has yet to endure any major setbacks. The hardest part, said Amorese, has been developing the roles, responsibilities and ways of working given there are so many moving parts between all of Heineken’s teams. "It’s been challenging to know what the studio is going to do and what it’s not going to do," he continued. "Conceptually, it’s easy to grasp, but when the rubber meets the road, drawing that line is really tough. "What I thought was going to be hard but really wasn’t was the buy-in -- everyone understands the need for it." So if the project is running this smoothly, has it whetted Amorese’s appetite to bring more services in-house, like media buying? 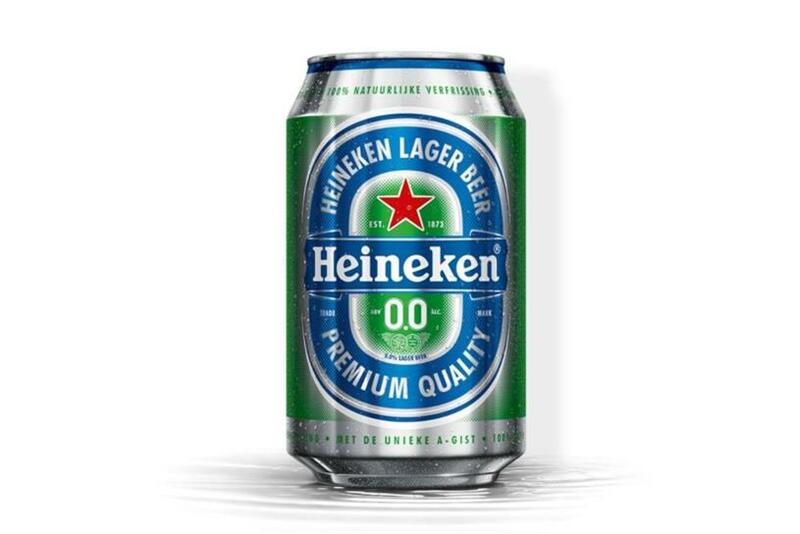 Heineken appointed Red Star Network powered by Canvas Worldwide (product of a joint venture between independent agency giant Horizon Media and marketing services group Innocean Worldwide) its media AOR late last year, pushing aside Publicis Groupe’s Starcom. The work with Canvas became effective as of January 1. Amorese is the first to admit pitches can be clouded with a lot of puffery, but he labels Canvas a "game-changer" for the brand, adding: "They have completely delivered beyond my expectation." He also touts Heineken’s media partnerships with Social Code and Adobe. That said, he can’t ignore the siren call of in-house buying. "You see the upside," he said. "You’ve got this person 20 miles away from here, a few layers removed from the strategy who is a buying expert but at an agency. We want to make sure those people are fully informed on our strategy. "The challenge is the game of telephone -- you’ve got us, the brand team, the media team, the AOR agency and then you’ve got a buying agency, so there’s a lot of different ways to misinterpret something, potentially. "I don’t see it as a house-on-fire emergency for us to bring it in-house, but it’s something we’re definitely interested in." Why in-housing programmatic doesn’t always work, in Amorese’s opinion, is for two reasons: An agency has to be all in -- find the right people, build the team and buy the software all at a very large expenditure. "The other challenge I see with it is career pathing," he explained. "If you worked at a place that sold beer or soft drinks or snacks and you’re they’re in-house media buyer, where are going to go from there? Whereas if you worked at a place that just did buying there’s a clear path for you career path." For now, taking media in-house is off the bar menu. Besides, Amorese and his team already have their pint glasses full with the studio. The project must tick three main boxes following its launch: save money, close the time gap from brief to ready and produce a good return on ad spend. Amorese added: "It’s really tempting to look back and say the studio looks great and all the people are happy -- but if those three things don’t happen, it will be deemed unsuccessful."